Caption slip reads: "Photographer: Olmo. Reporter: Byrd. Assignment: Lost Lion Cub. 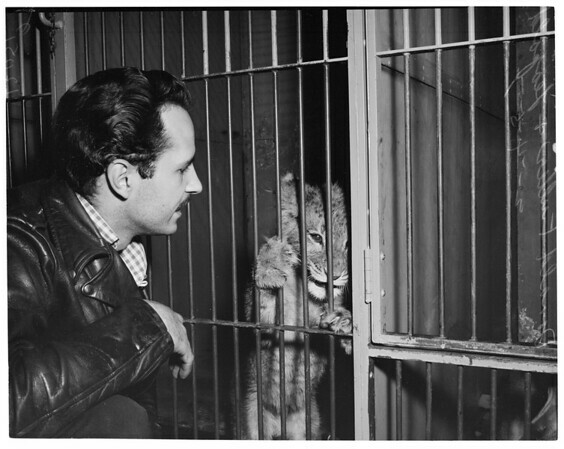 Donald Fuller is reunited with his 14 week old lion cub, Leopold, at the Ann Street Animal Shelter".